Hi all! We're now at our final special set for Hari Raya. This one's inspired by Sweet Sugee and you'll notice creamy rich scents when you start using it. Our first recipe is a facial wash that has a velvety texture and feel. It's specially formulated to prevent aging and suitable for more mature skin. Our ingredients include SoapLab's Coconut Liquid Soap Base and Juniper Berry Extract, both of which help promote healthy skin. Juniper berry even helps with uneven skin tone and to lighten any skin discoloration that tends to happen to aging skin. 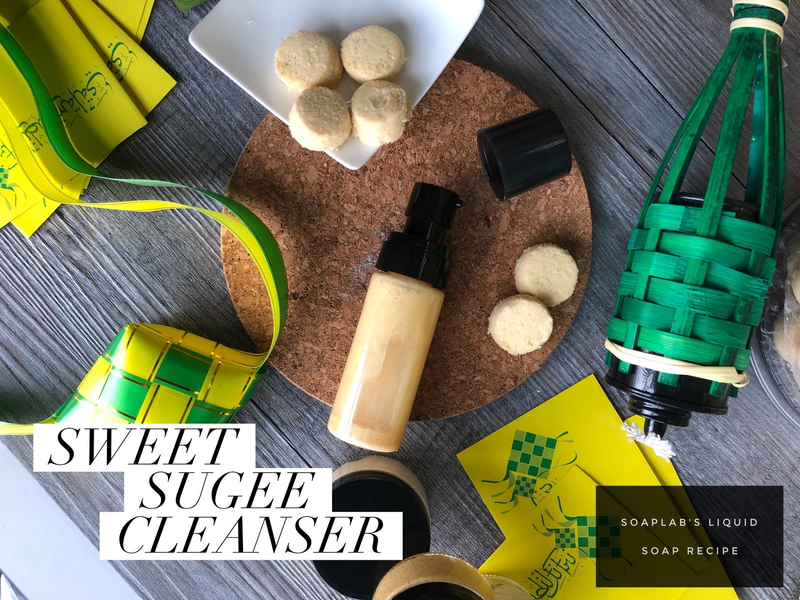 This facial wash promises something very simple, to take care of your skin and keep it soft, cleansed and supple throughout your Raya celebrations!